I am behind on blogging! This is because I was very busy this week, and busy in Bayreuth at that, where I had trouble finding internet access. I have many notes and will be posting a lot in the next few days. Wagner’s Die Meistersinger von Nürnberg is in part a historical fable, drawing on the life of the actual shoemaker poet Hans Sachs and his guild of Mastersingers in post-Reformation Nuremberg. But Wagner builds on, distorts, and later abetted in Nuremberg’s history in more complex ways, some of which can still be seen today. I tried to find what remains. Die Meistersinger is set in the sixteenth century, but it’s a parable about Wagner’s own time, and he meddled with historical details to get the aesthetic argument to work right. 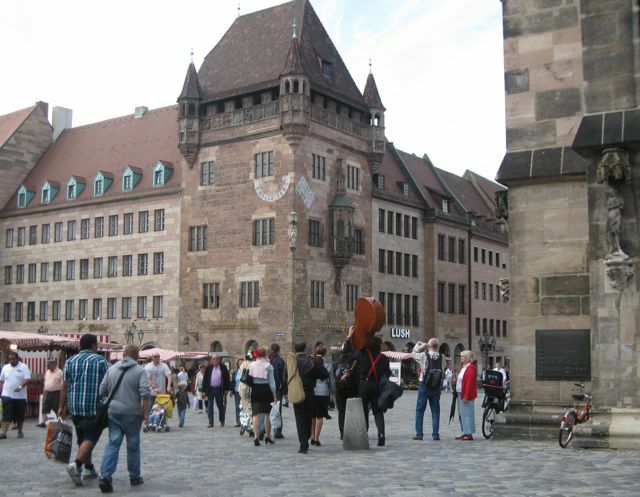 Nuremberg was an apt setting for this project because in Wagner’s time the medieval center was so well-preserved that it looked basically the same as it did Hans Sachs’s day. Audiences of his day could picture the drama happening in the past and present simultaneously without a gap imposed by changing architecture. Wagner added to Nuremberg’s mystique, and of course the city was central to Third Reich iconography (most famously as the setting for The Triumph of the Will) due to both Wagner and the same reasons Wagner chose it. 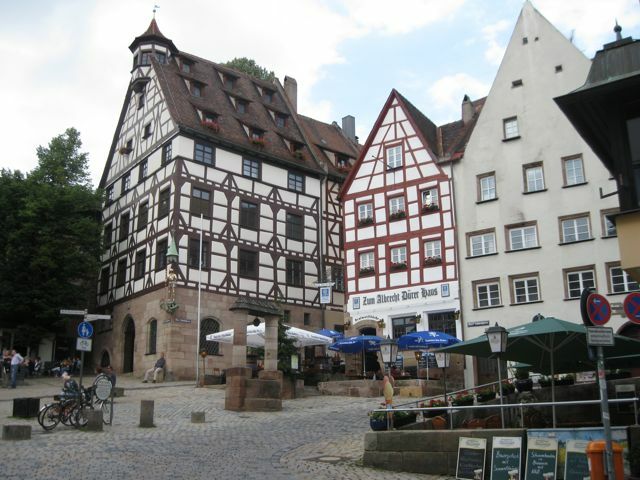 The city is still well-preserved, but after the twentieth century, hardly in the condition it was in Wagner’s day. 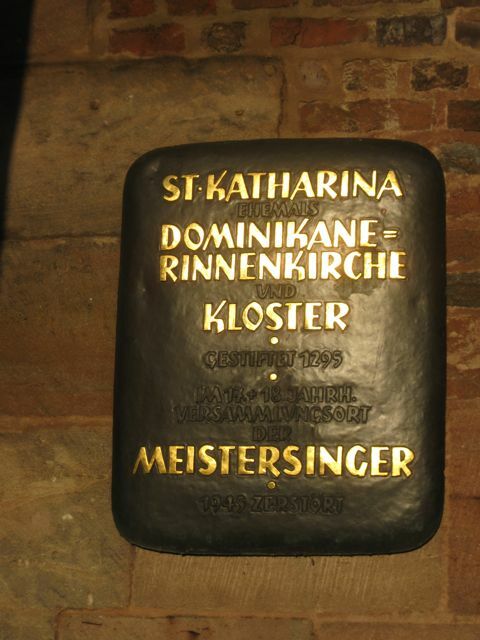 Note that the plaque says they met in the 17th and 18th centuries (in the barely visible dark letters)–after the period of Meistersinger. 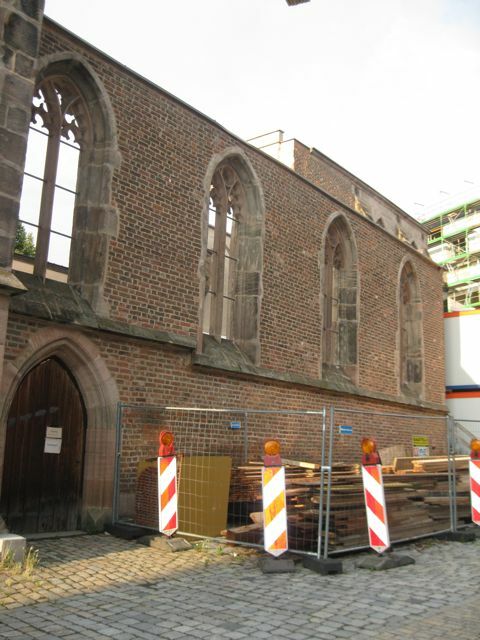 The church was bombed in 1945 and only the roofless reconstructed walls remain. But it is still devoted to music, serving as an open-air venue for indie/hipster-tending concerts in the summer. It was a little hard for me to take pictures because of surrounding construction. 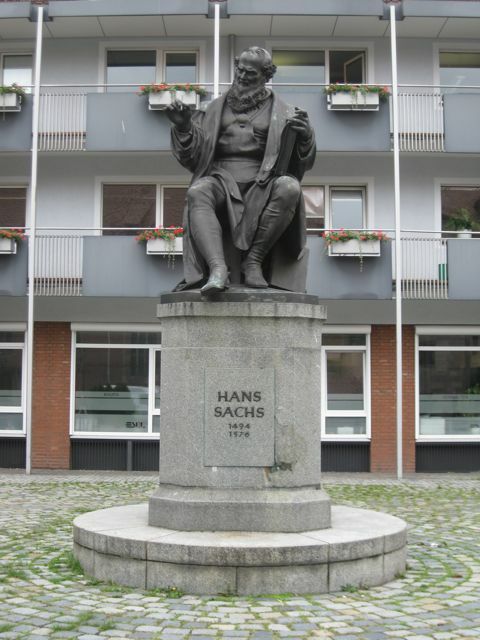 Not far away is this statue of Hans Sachs in his eponymous Platz. It also has a sinister history. Wagner noted that he was going to donate to the construction of a statue of Hans Sachs (based on dates, presumably this one), but changed his mind when it turned out that it would be installed opposite a “sumptuous” synagogue. Needless to say, the synagogue isn’t there anymore. 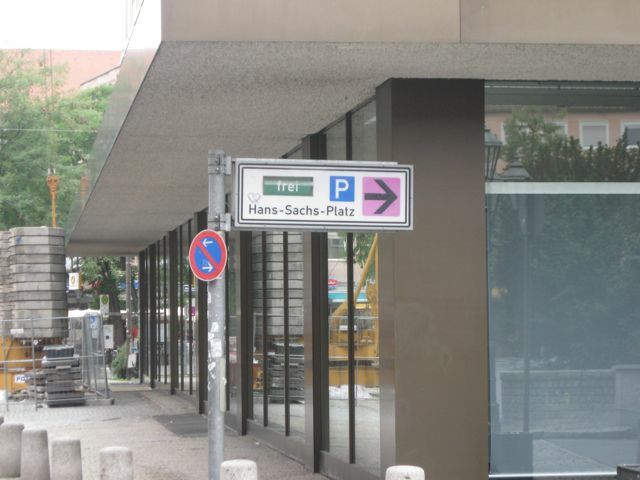 There’s not much to see in the Platz, to tell the truth. But you can park your car. It’s still a picturesque town center, though. I’m guessing that in the grüne Wiese of Act 3 there’s now a Lidl or something. 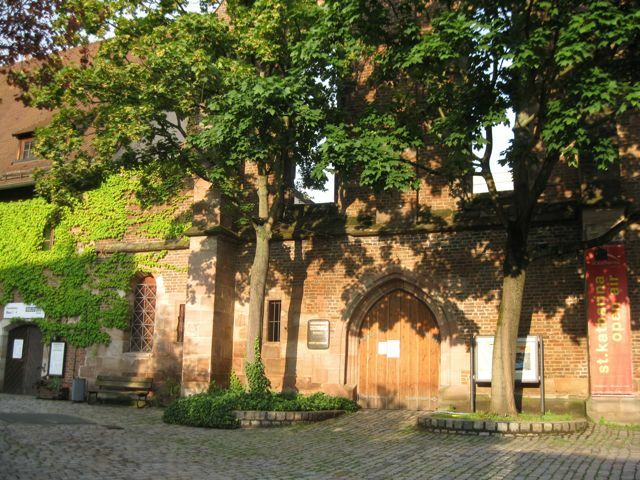 There’s a “Meistersingerhalle” on the outskirts of town as well, but it’s a modern venue. 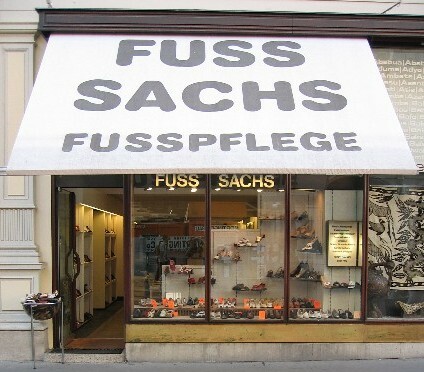 Yes, it’s a shoe store. I love it when you mix opera, history, and tourism. More happy travels to you (and for us)! Hello Zerbinetta. Beautiful idea. 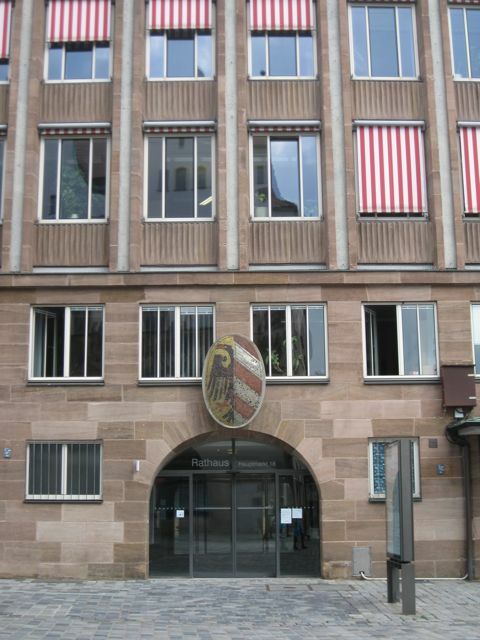 Wanted to see Nuremberg with Wagner in mind but without the precise knowledge and just a few hours, could not see what you show. So the more I thank you you did. Had nevertheless kept shots of my trip for a newspaper in my country but they showed no interest. This is a fantastic post! 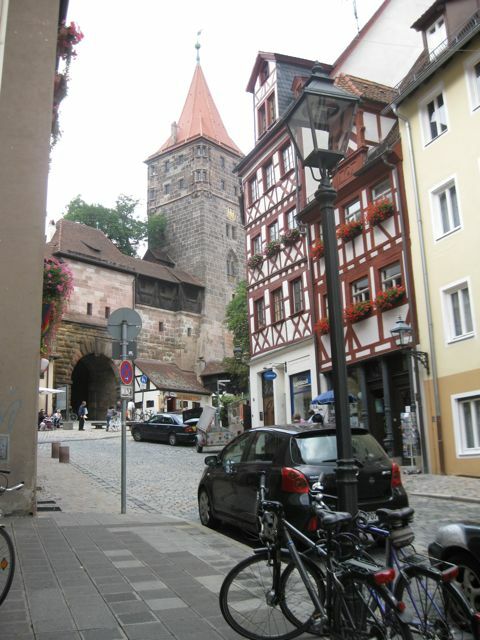 I went to the Nuremberg Christmas markets last year and found the architecture breathtaking!